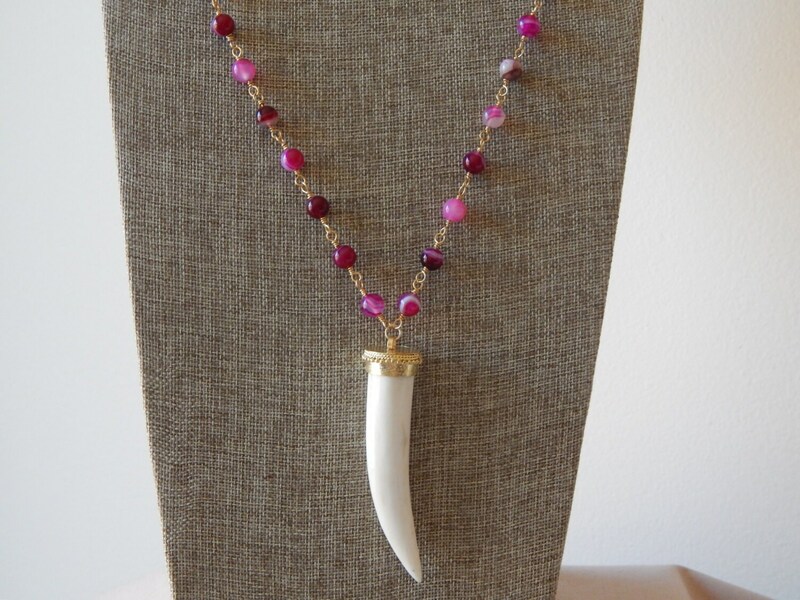 Pink agate wire wrapped chain holds a creamy white horn tusk pendant. 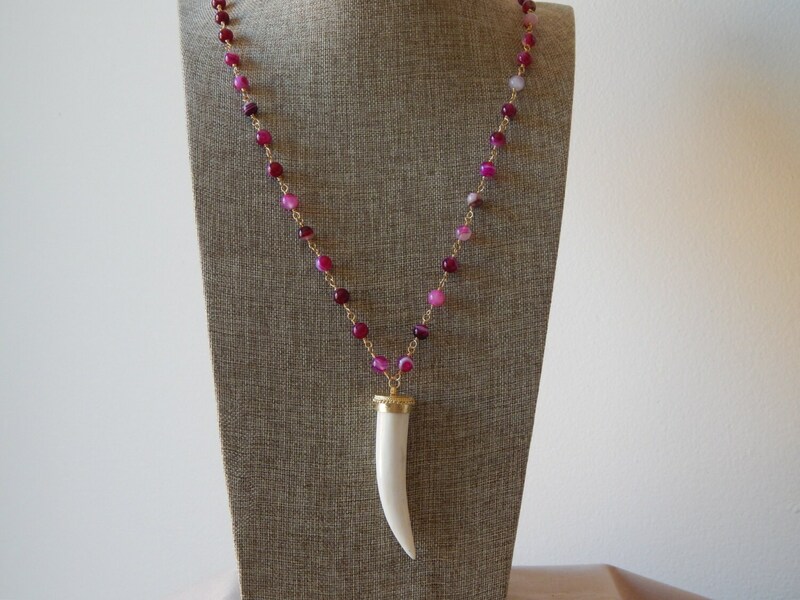 The pink agate compliments the bone horn tusk and will add a pop of color to any outfit. 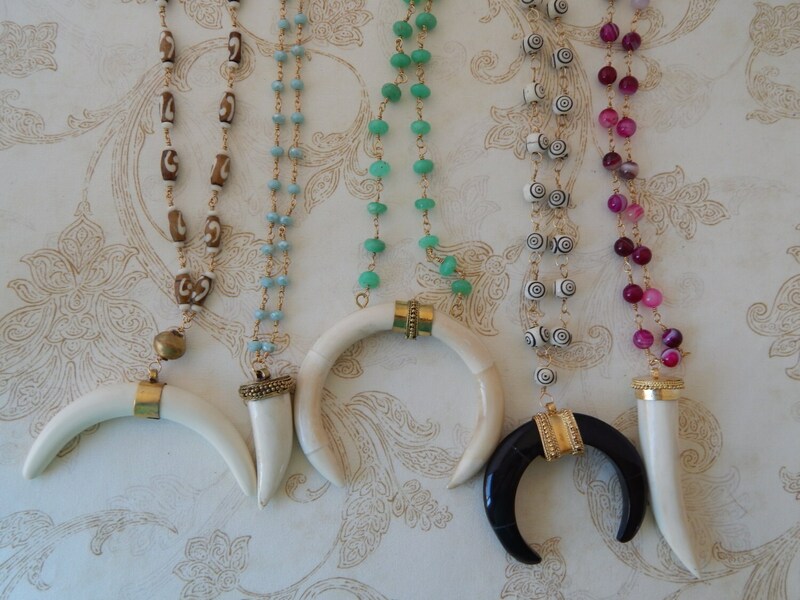 Light weight and easily layers with others from my shop or wear alone as a statement piece. 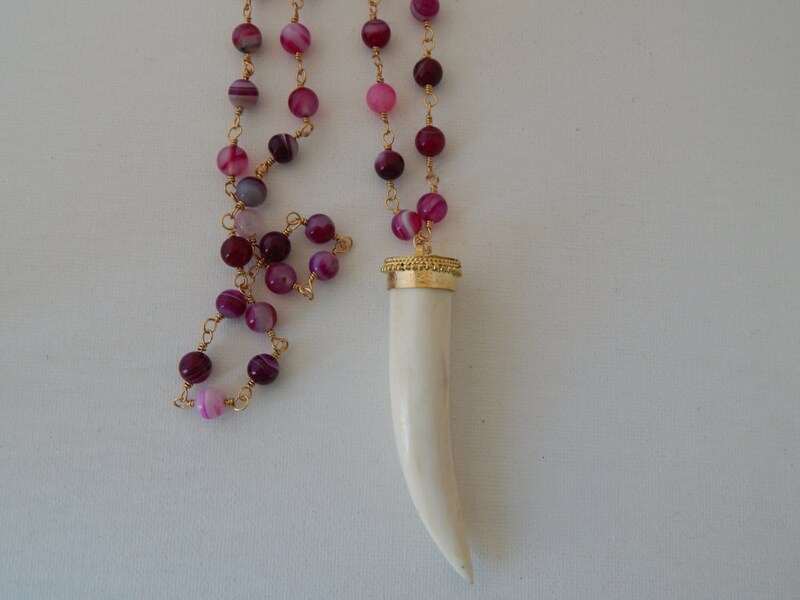 ***Listing is for the pink agate necklace only. Others can be found in my shop. 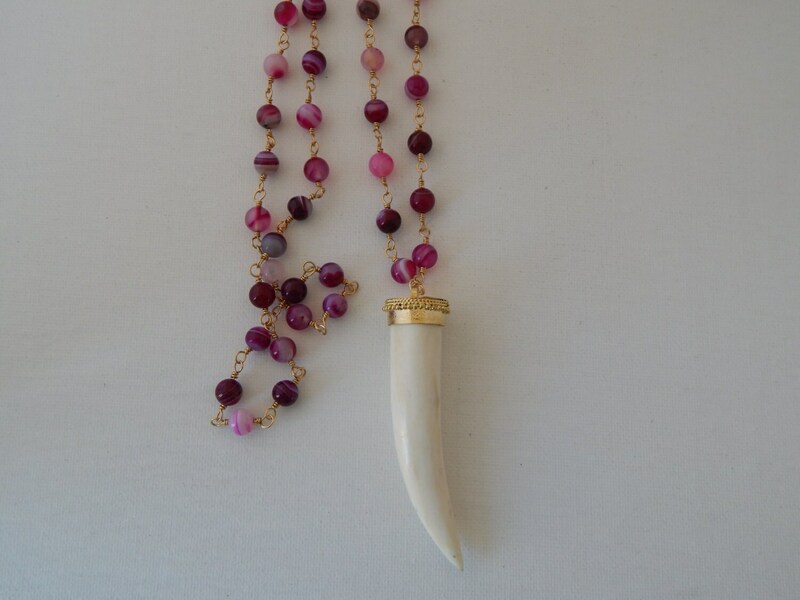 Necklace measures 34 inches beads are 8mm. Tusk size is 3 inches. No clasp just slips over the head.